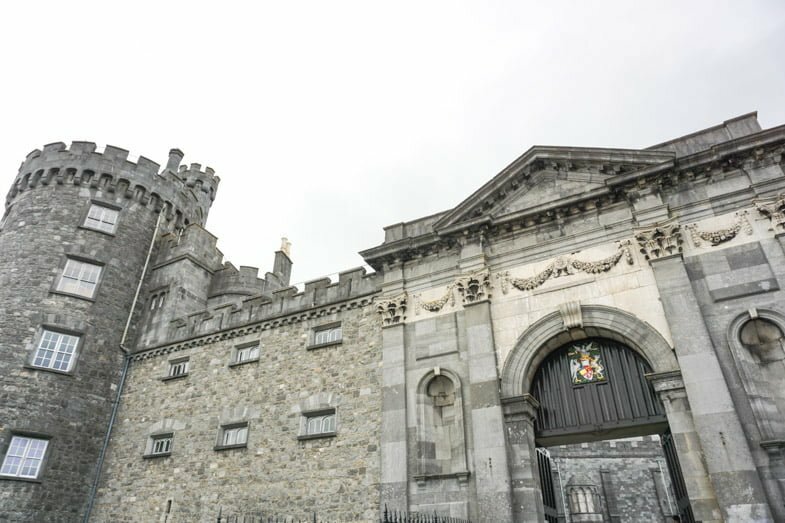 I (Gemma) travelled to Ireland feeling underwhelmed. It’ll just be like Scotland I thought. Oh, how I was wrong. Sure, there are lush green fields, daunting cliffs, and drizzly weather but Ireland has one up on its tourism counterpart; it has deadly hospitality and striking resilience. 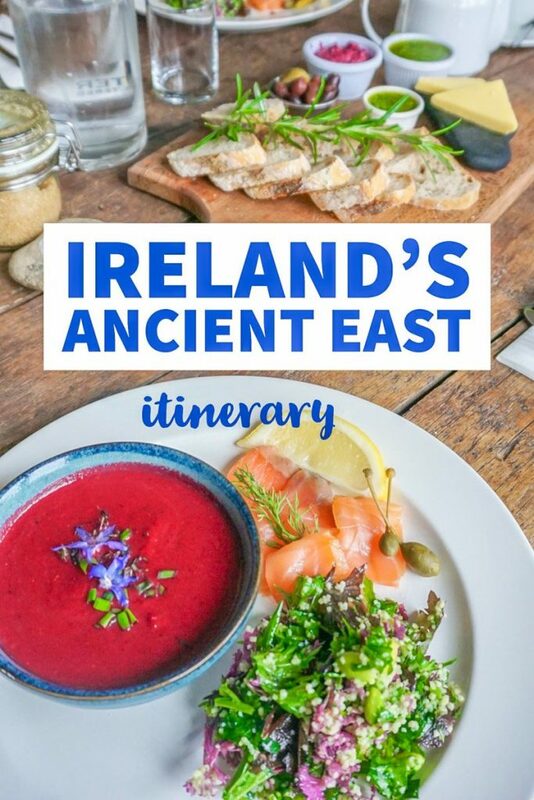 Spend time in Dublin (if you must) then depart to Ireland’s Ancient East on this 5 days in Ireland itinerary (this can be extended or shortened, additional East of Ireland attractions included). After the widely successful West Atlantic Way campaign pushing visitors out of the capital city, Dublin, towards the 16,000 miles of rugged coastline (like road trips, check out the Scottish Highlands North Coast 500), Fāilte Ireland have cleverly routed attractions over 17 counties, from the border of Northern Ireland down to Cork in the south, anything east of the Shannon River is deemed Ancient East territory – and that’s many regions to explore. 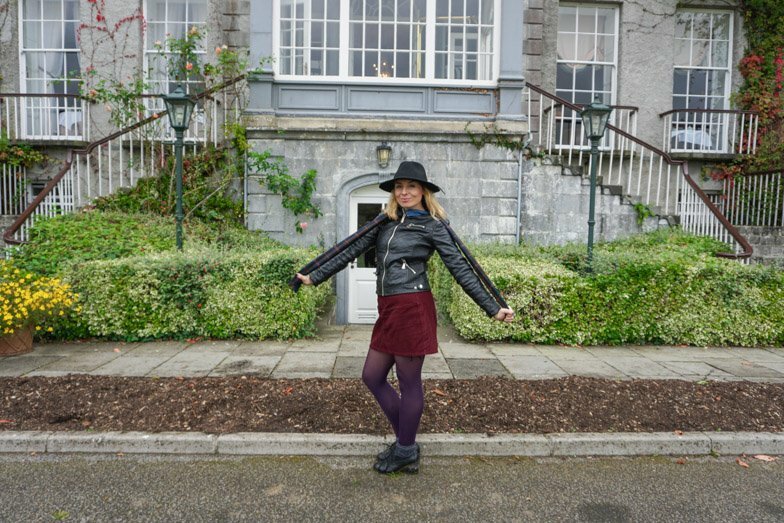 We visited the central areas of Killashee, Kildare, Kilkenny (it’s a city! ), Thomastown and Tipperary all of which are entwined in 5,000 years of history and wrapped up in stories. 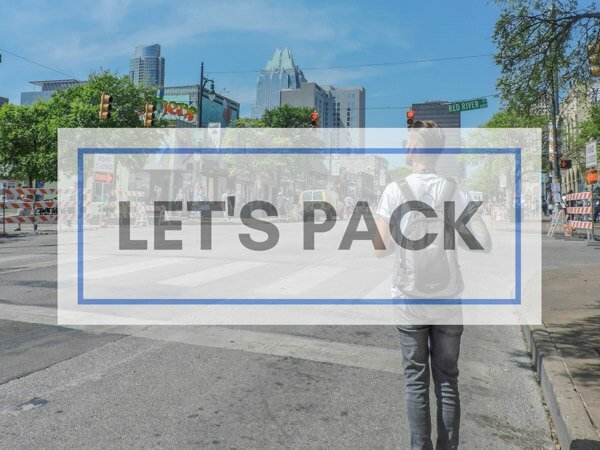 Luckily for you, the extremely friendly locals and businesses love the chat and want to share their version of events and success. Warning – the Irish charm is alive, kicking, and infectious so let’s get started with our 5-day tour of Ireland. 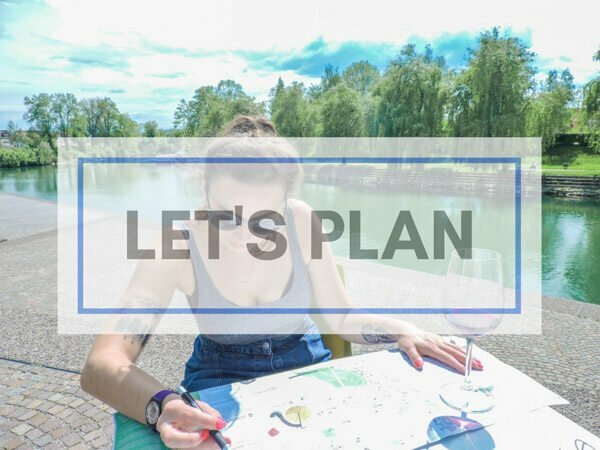 You can plot your itinerary using this travel map planner. Killashee Hotel is a destination in itself. This 4-star hotel and spa has 141 beds, 25 suites, 18 meeting rooms, 3 ballrooms and 13 unique windows at the front of the house. It’s not just an interesting building to look at, it also has an intriguing past. 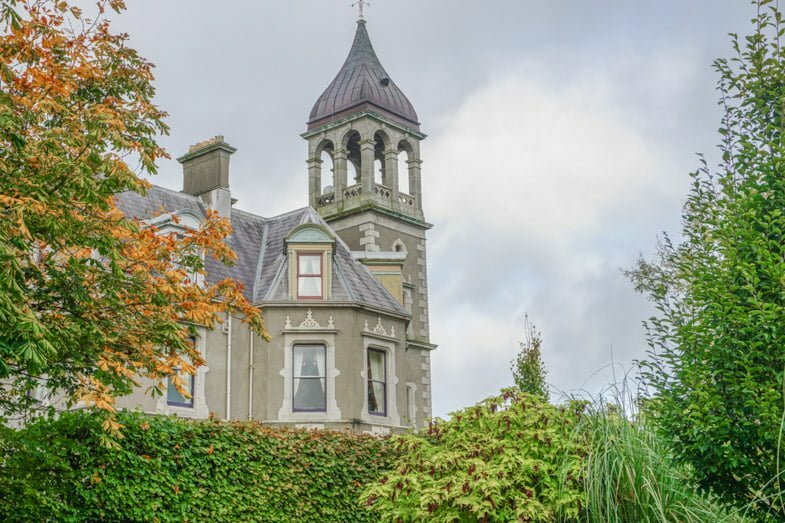 Killashee Hotel was once a school for boys ran by La Sainte Nuns, this hotel embraces its own Ancient East story! 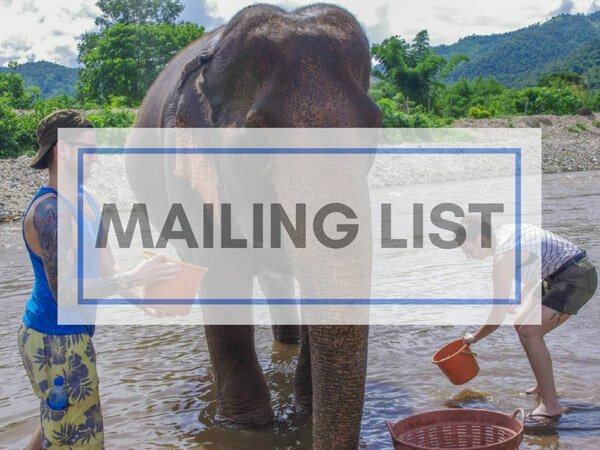 We had the pleasure of meeting with the hotel gardener who advised us that kids can play in the 280 acres of garden, visit the 7-year-old butterfly farm and send a message to the fairies… Will they reply? Anything is possible in Ireland’s Ancient East. The town of Naas (Nás na Ríogh) where the hotel is located has several bars (of course), a public swimming pool, Craddockstown Golf Club, and a new theatre called the Moat Theatre. Residents can use the complimentary bikes at the Killashee Hotel. This Georgian villa, Burtown House, continues to be lived in and loved by the Fennell Family. 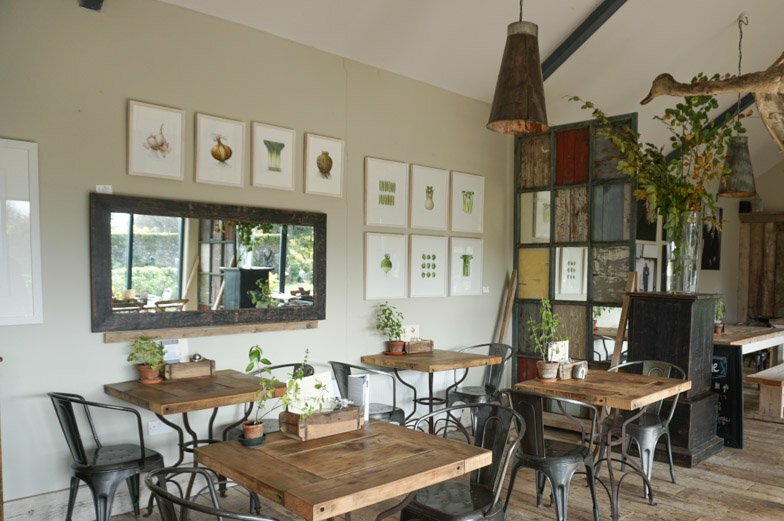 Photographer, James Fennel and his wife Joanna not only open their gardens to the public but also feed guests of the Green Barn Restaurant from the field to fork. 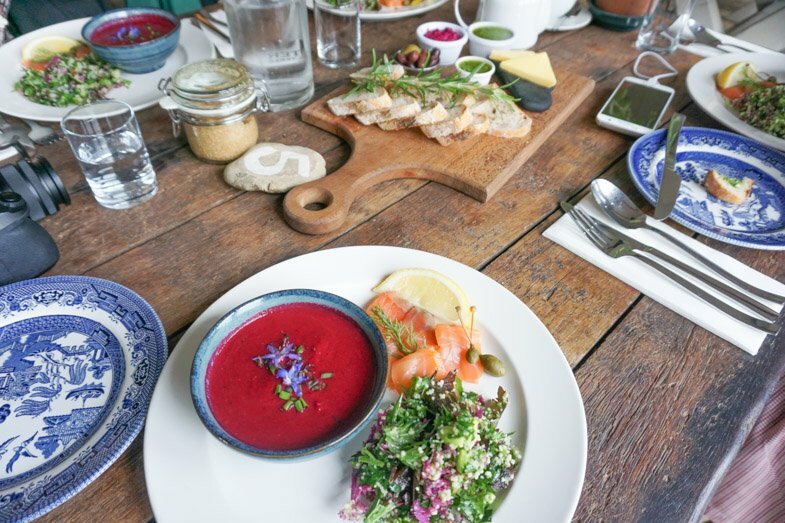 You can literally watch the vegetables grow while sipping on some beetroot soup. The gardens have been in continual production for over 150 years and make a nice day out for the family on the Ireland Ancient East route. 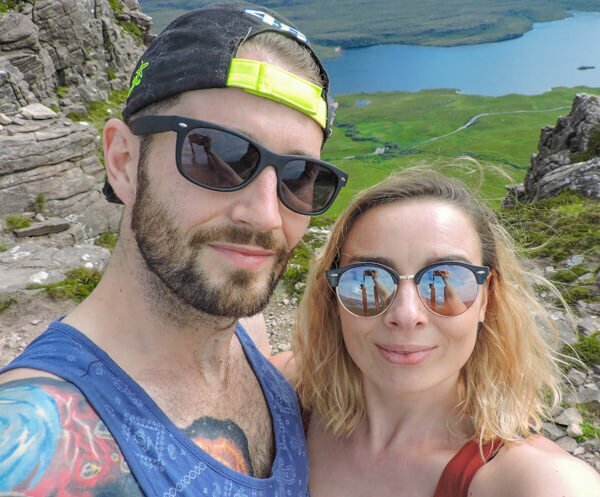 James and Joanna are an example of how innovative the Ancient East residents are, they not only have a cafe but also an art studio, Airbnb, and 12 acres of gardens and park, some of which is soon to see a step up from glamping, luxurious huts with *drumroll* outdoor baths. Sign me up now. Fact: ‘Kil’ means church in Irish Gaelic and Kilkenny is the medieval capital of Ireland. We have to make one thing clear; Kilkenny is a city, not a town. If you want to rile the locals up, go ahead and name the Marble City incorrectly. The city of Kilkenny (population 24, 000) has 70 pubs and is home to Smithwick’s Brewery (a big hit with the Americans in my tour group), the Mediaeval Mile, and Kilkenny Castle. 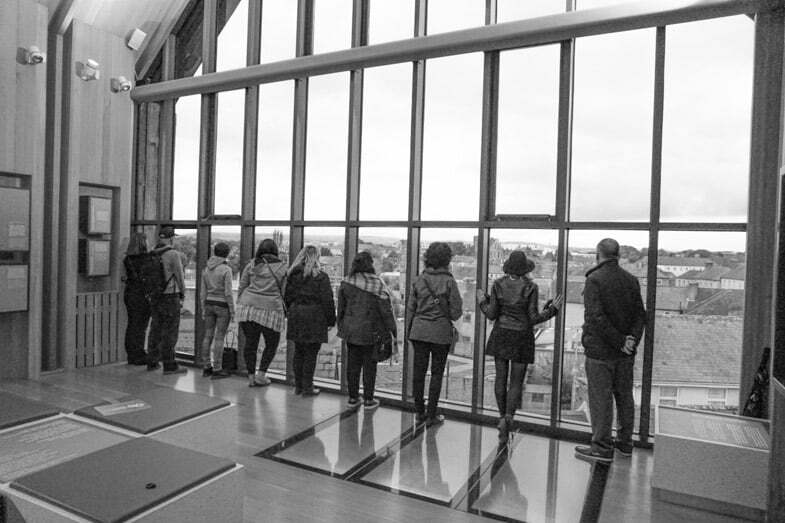 Take a tour with Kilkenny’s longest serving tour guide to hear the stories of the city’s past. 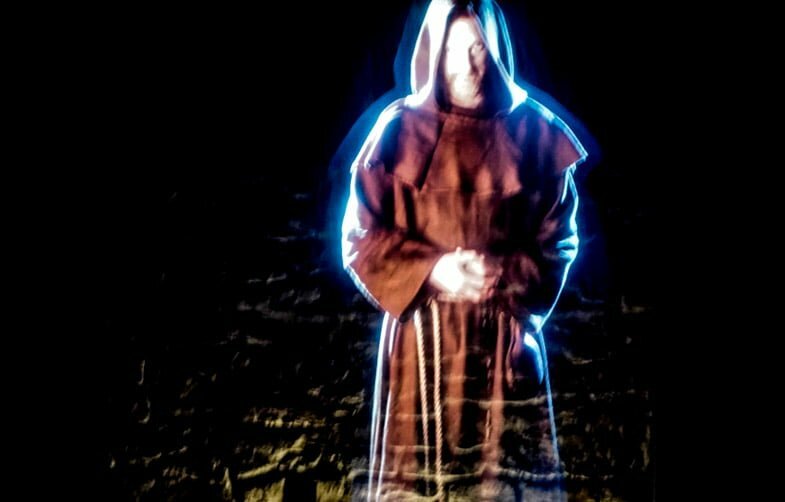 Kilkenny’s nooks and crannies are full of tales of torture and pain. Find out the story behind the Kilkenny Cats and why Alice Kyteler fled (on her broomstick?) to England never to be seen again. Over the past 8 centuries, Kilkenny has passed hands to several families and finally sold to the public for a token £50. If you look carefully you can still see the gun holes in the building. Who knew brewery tours could be so interactive? The Smithwicks experience (to pronounce: drop the w) is a 4D, sensory experience which tells its family story through visuals, touch, smell and most importantly, taste! Although Ireland’s oldest beer is no longer made on site (moved to Dublin), the walk-through museum is still highly recommended and the reward at the end is satisfying. This city can seriously give Edinburgh a run for its money when it comes to the number of festivals. This October sees the start of the foodie festival, Savour Kilkenny, November is Kilkenomics then Subtitles European Film Festival, and December sees the start of the Christmas festivities. For all year festivals, check the website. There are a number of hotels in Kilkenny but none has a story quite like the Pembroke Hotel. This 4-star city centre boutique hotel has a resident guest, a ‘Special’ racing car called the Statham-Ford Special built on the very spot the Pembroke stands now. The Statham-Ford Special was designed, created and driven by George Statham (hence the racing car title and the restaurant/bar name) and guess what? The car still runs today. How would I know? I was taken for a spin! This stunning boutique hotel has deceivingly big rooms (disguised space) and management are happy to share the stories of the city from the Pembroke rooftop, just ask at the reception for your free history tour. 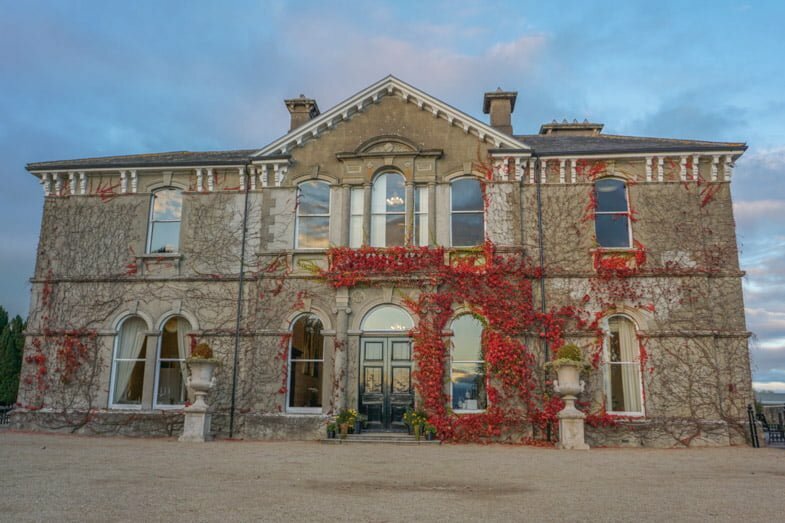 Residents are only 5 minutes drive from the city of Kilkenny but the Lyrath Estate has not one but four restaurants onsite from the flagship restaurant, La Perla to the casual (and alfresco in summer) Tupper’s Bar, and not to forget Oriental foodies choice, Yindees and finally aperitifs and drinks in the X Bar. Cheaper alternatives include the Springhill Court Hotel. 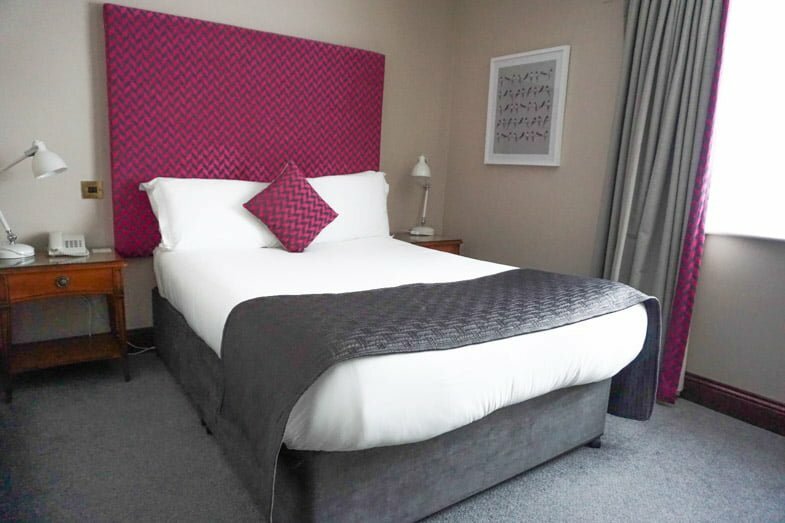 This newly refurbished hotel offers clean rooms, access to fitness suite and swimming pool, onsite Paddock Bar with live music and meals at Oscar’s Bistro. The Springhill Court Hotel is within walking distance to Kilkenny city centre and accepts group bookings. Toot toot, all aboard the Highbank Orchard tractor train. Take a ride through the 17th century converted mill gardens and farm while Rod shares his pip to sip stories of cider, syrups, and sauce. This family’s talents are never-ending. Julie and Rod distill cider, brandy, mead, and to the team’s annoyance, syrup and treacle (try cleaning the drum out after that run!) 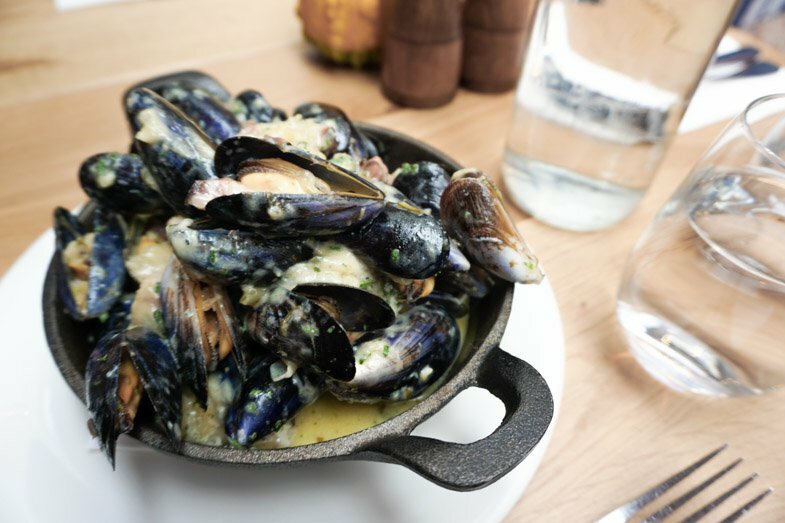 This lively pair are easy to be around and the ability of the Ancient East’s businesses to adapt like chameleon really shines through at the award-winning Highbank. 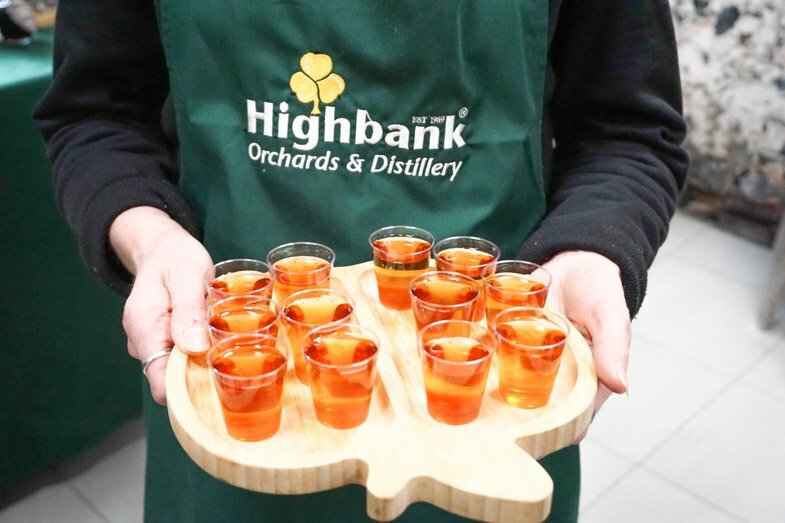 Fact: Ireland’s apples are sprayed 26 times per year on average but not at Highbank. This orchard has been chemical free for 30 years. Like the sound of this biodiverse orchard? Well, you can stay overnight. 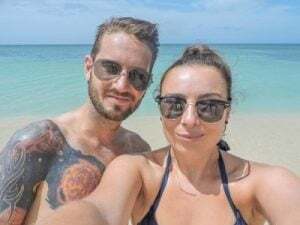 Rod and Julie ‘apply (boom boom) open up their gates to Airbnb customers. New to Airbnb? Here is £25 off your first stay (and we get credit too, thanks!) I don’t want to share all of Rod’s stories as I’ll spoil your experience, just go, trust me – they are a(n apple) delight. Milk, dark, white, fruity, salty, nutty and sweet. 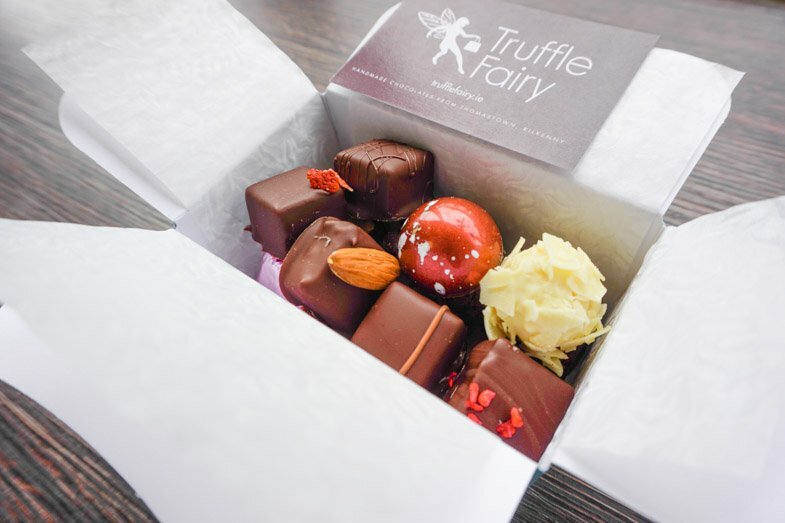 These are a few of my favourite things and luckily for us on Ireland’s Ancient East food trail they are crafted and sold by award-winning Mary at the Truffle Fairy shop. Heading to Killarney? You’ll find a second chocolate shop in town soon. You are in good company at Mount Juliet, numerous statesmen and professional golfers have creased the sheets at this Georgian home. 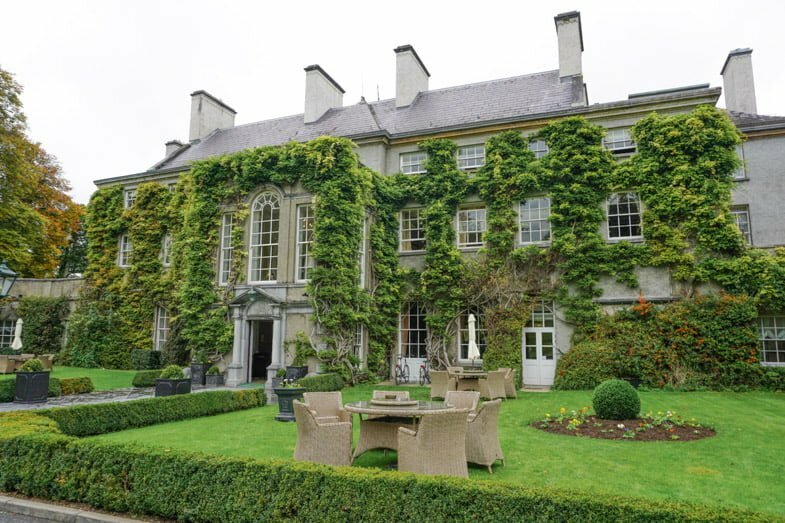 The 5-star Mount Juliet hosts events, weddings, golfing trips and everyday meals in at The Hound Restaurant and fine dining at the hotel’s Michelin star Lady Helen restaurant. The Hound was once home to stables. If you look closely past the cosy country chic decor you can spot the rings with which the horses were tied to. The Estate boasts of four different locations for rooms, Manor House, Hunter’s Yard, Rose Garden Lodges and Chauffer’s Lodge. Don’t forget to look at the decor in the Manor House, the devil is in the detail and it was done by hand. It’s a long way to Tipperary, which isn’t actually true if you start in Dublin (2 hours) or Shannon (55 minutes). This town is a delight for nature and food lovers. This Ancient East county is affectionately known as Tipp. Next stop is Cahir, to the Apple Farm which has been planting since 1968. This apple orchard ran by the Traas family is not just about the apple harvest but also the cider, soda, camping and a kid’s park. 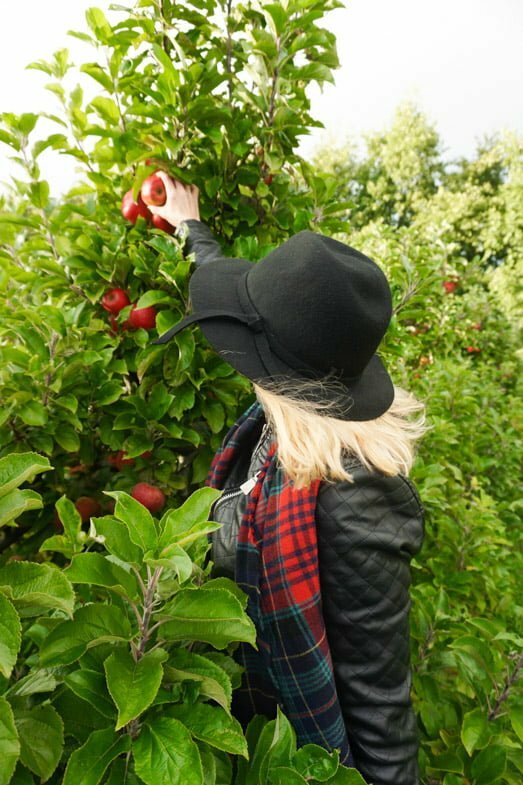 For over 50 years, 60 different types of apples have fallen from these trees in Cahir. 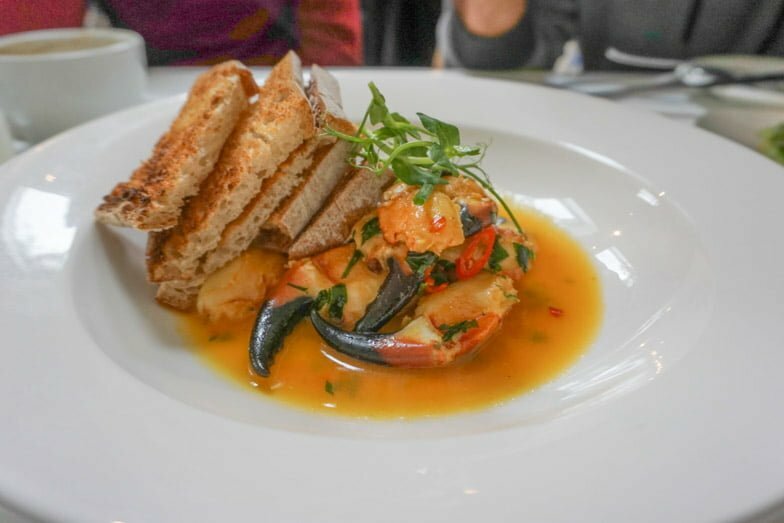 Head to the town of Cashel to see the Rock of Cashel then dine at Mikey Ryan’s. This modern restaurant serves local produce in a home worthy decorated space. Chef, Liam Kirwan, is present in the menu, cooking up food adapted from his Gran’s menu – ‘a tribute’ he calls it. 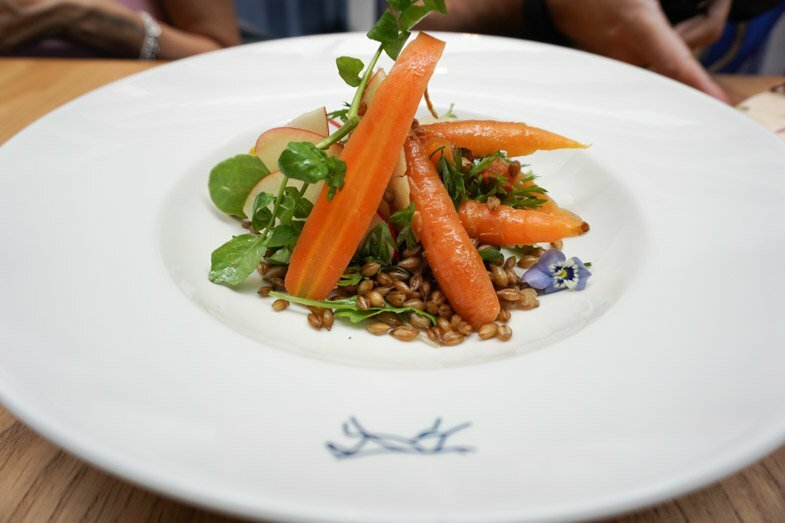 Muscles, burgers, tarts, cheeses, and also apples from Anne’s garden – Mikey Ryan’s menu is not just about the produce, it’s pretty. Did you know that honey is not always runny? The Mac Giolla Codas beekeeping family-run Galtee Honey Farm caring for over 150 hives. Honey isn’t just used for breakfast and singer’s voices! The sweet stuff is increasingly being incorporated into cosmetics, natural remedies, and mead (alcoholic beverage). Galtee Honey Farm can be purchased around Ireland’s Ancient East. 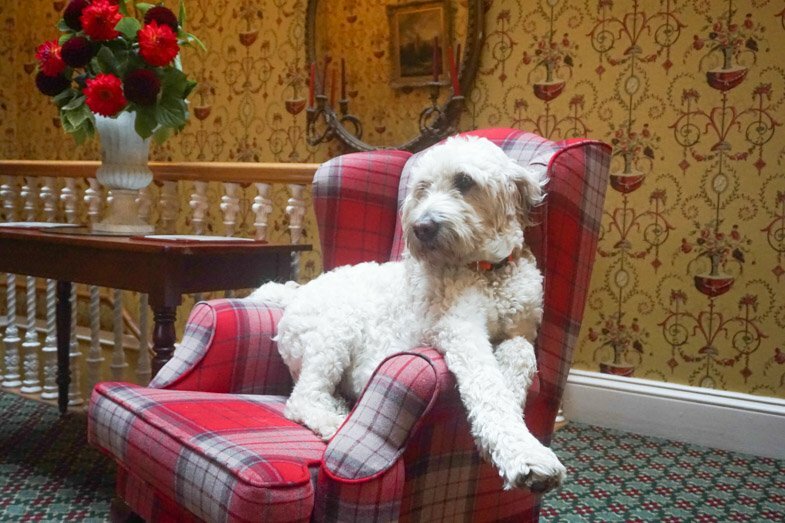 The Georgian Hotel Minella in Clonmel is not only home to stylish bedrooms, Club Minella, The Restaurant and 10 acres of land but also two dogs called Bobo and Mop. Please don’t let your ego believe that patrons are oohing and aahing at your arrival, the fanfare is for Bobo who is sitting with his ‘what up’ attitude. Sister and brother, Elizabeth and John, manage Hotel Minella and this sense of family is felt throughout the Tipperary community. The restaurant uses oil from Emerald Oils, cheese from Cashel Blue, and butcher meat by Piedmontese. Behind the bar you’ll find Merrys Irish Cream and Tipperary whiskey (whisky in Scotland). The Tipperary Whiskey distillery is owned by a young, Scottish woman (so many female business owners in the Ancient East) who followed an Irish man over to the Emerald Isles. The infamous Irish breakfast consists of bacon, sausage, fried tomato, and a black or white pudding. White pudding is the same as black (meat and oats) but minus the blood. Hotel Minella uses Inch House award-winning pudding, which is melt in your mouth magic. Pudding is also served as part of a Scottish breakfast. 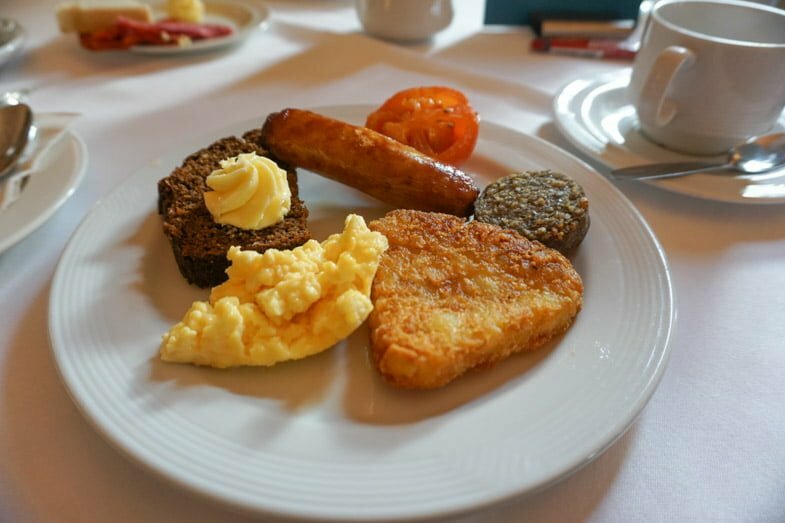 The biggest difference between the Irish and Scottish breakfast is us Scots include a flat potato scone (you would never know it’s a potato) while the Irish include some kind of fried potato. My favourite part of the Irish breakfast is the Guinness brown bread with creamy butter. Long gone are the days of overcooked potatoes and chewy stew. To be sure Guinness bread and creamy butter are still on the menu (thankfully) but this inspirational area has heavily focused on the farm to fork, soil to oil, pip to sip philosophy and much of the food you eat during the Ancient East trail will be sourced from a garden, farm, or orchard within a tiny radiance. The Irish are forward thinking. Living off the tail of the Celtic tiger then smacked down by the recession, business owners banded together to support each other and that sense of community is evident in the east. 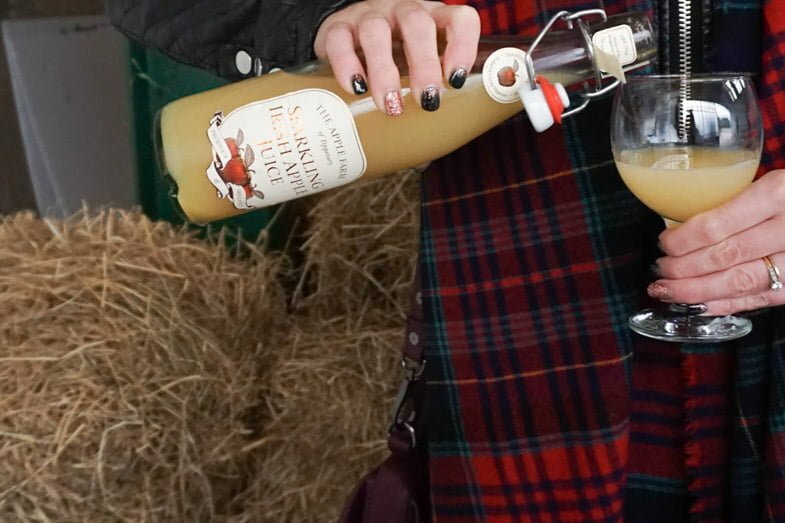 We drank cocktails with Highbank Orchard apple juice at Statham’s Bar and ate Inch House black pudding at Minella. This year, go to Dublin but get ready to depart for Ireland Ancient East 5 day tour of Ireland. Proud member of the TBEX Ireland team. This road trip was made possible by Fāilte Ireland, opinions are mine as always. Over to you. Any tips or questions? You did us proud! I’m so glad you enjoyed your stay in Ireland. I hope to come to Scotland at some point. I’m headed to Paris in a fortnight. Talk soon! Great article, very helpful! Wonderful photos too…I particularly think the one of you in front of the Statham-Ford is super cute! Isn’t it just gorgeous. Really nice hotel too. Kilkenny does heaps of festivals throughout the year – might be worth you looking into for filming a road trip! Was lovely to meet you and hopefully we’ll catch up again in 2018. Great little article. I am from County Carlow in the South East and hadn’t heard of half those places. I am currently down under at the moment and will be visting those places when I am home again.